If you're looking for a great place to hang out with friends for a few drinks, head over to Brewgards! We have a laid back atmosphere but we know how to have fun too! 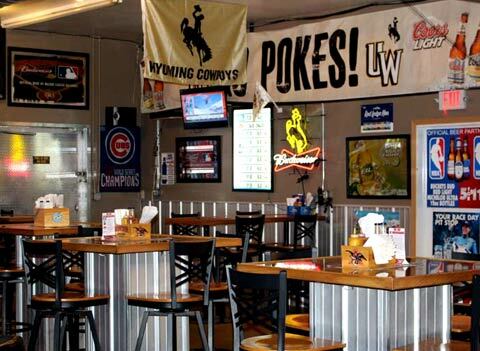 Grab a bite from our full menu or sip a cold specialty or domestic beer while watching a Wyoming Cowboy's game! Our restaurant/grill features a variety of tasty appetizers, juicy burgers, green salads, wraps, pizzas and sandwiches and dinner entrées. Enjoy a beer on tap or glass of wine with your meal inside Brewgards or outside on our patio! LIKE US ON FACEBOOK to catch our daily lunch and dinner specials! Your home away from home for Wyoming Cowboys sports! Catch NFL games, MLB action and come in for our Race Day food and drink specials like our NFL Sunday's Build-Your-Own BLOODY MARY BAR! Come by Brewgards for Happy Hour drink and appetizer specials, Ladies Night, Race Night, NFL specials and more! Watching the big game, race or fight at home? 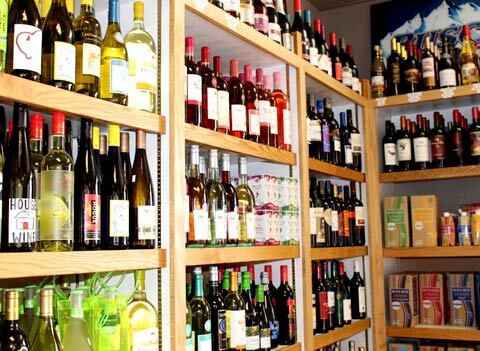 Stop by our fully-stocked liquor store for cold beer, wine, whiskey, mixers and ice. Planning a party at your place? Great! 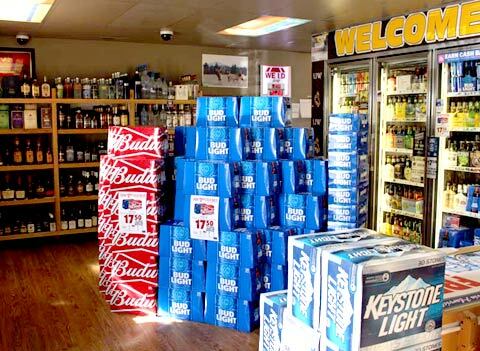 We have you covered with a large selection of beer, wine, whiskey and mixers for your specialty party drinks in our Package Liquor Store! Having a really BIG PARTY? Get a beer keg by pre-order! Get Stocked up Today! See Our Location on the Map! Turn to Brewgards for dinner and drinks TO GO! 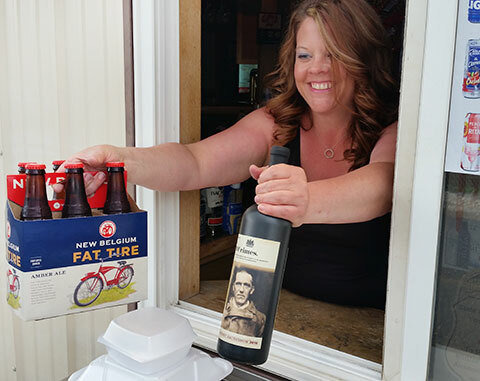 Package liquor isn't the only thing you can pick up at our drive thru window! Call ahead and order lunch or dinner and grab it TO GO! You've worked hard today - let us do the cooking for you! Great place for lunch or dinner. Excellent burgers & a great Bloody Mary. Will be back again and again!!! The Prime Rib sandwich on Thursdays! Love it! Class act. Service is spectacular, drinks are cold, and always plenty of familiar faces. My kind of bar. Keep up the good work! Best burgers in town, by far! Great service, too. Stopped in Sunday, awesome bar and great people, heard about prime rib on Thursday, definitely going back! 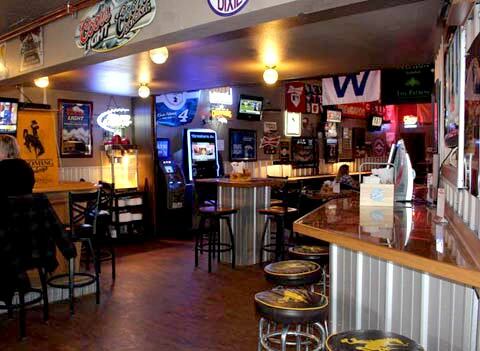 Brewgards - Serving lunch, dinner, cold beer, mixed drinks, televised Wyoming Cowboy games, sports, racing, drive up liquor and food pickup, specials and a full package liquor store in Cody, Wyoming.